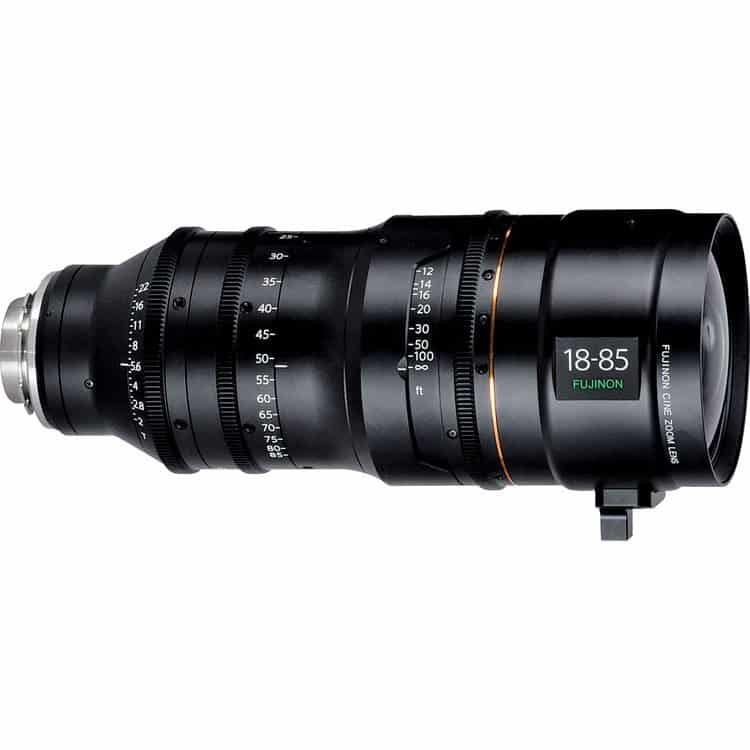 Fujinon HK4.7×18 18-85mm T2.0 zoom is an all-purpose zoom encompassing the most used focal length range for the majority of dramatic studio and location scenes. Fujinon HK Premier Zooms are designed for the highest performance cameras. They exhibit minimal breathing when focusing. Image quality is consistent and repeatable. Coatings and elements of all lenses are consistently color matched. The 280 degree focus barrel rotation ensures an expanded focus scale, with accurate and consistent marks.